This may well be the strongest statement from The Pineapple Thief yet. 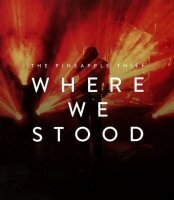 The wonderfully titled 'Where We Stood' is, rather surprisingly, the first full live release from The Pineapple Thief. This "concert film" contains the fifteen song show the Progressive outfit performed to a packed London audience in February 2017 – in both audio and visual formats. Good though both are, the DVD/Blu-ray really is the way to go. Shot with fifteen cameras, the images are crystal clear, while the decision to put a camera directly above the drum kit so you get a bird's eye view of the percussive masterclass ex-Porcupine Tree man Gavin Harrison is laying out is indicative of the thoughtful directing. However, where things take a less steady turn is when you realise that what is meant by 'Where We Stood' being a "concert film" is the show being interspersed with interviews with the band. It's interesting stuff and even as a fan, I discovered some new information, but it does have a negative impact on the flow of the show itself. Thankfully, the opportunity to watch the live performance in isolation is also a welcome menu option. Unsurprisingly, this show focuses on the band's more recent material with seven 'Your Wilderness' (2016) cuts getting an airing as guitarist and vocalist Bruce Soord, keyboard man Steve Kitch, bassist Jon Sykes and the pair of exalted guests – Harrison on drums and Godsticks guitarist Darren Charles – display their jaw dropping wares. However, with 'Part Zero' from 'Variations On A Dream' (2003) and 'Snowdrops' from 'Little Man' (2006) also part of the set-list, all eras of the band are covered to some extent; two of the strongest songs, 'Show A Little Love' and set closer 'Nothing At Best', coming from 2010's 'Someone Here Is Missing'. Extras on the DVD/CD set come in the shape of 'Tear You Up' in live acoustic style, the official video of 'In Exile' and a lyric video for 'No Man's Land', alongside a short 'Where We Stood' documentary and 'Making Of 'In Exile'' vignette. However, the full four disc set (2CD/Blu-ray/DVD) adds a whole lot more. Most importantly, the audio and visual main event are indispensable for any fan of this band. 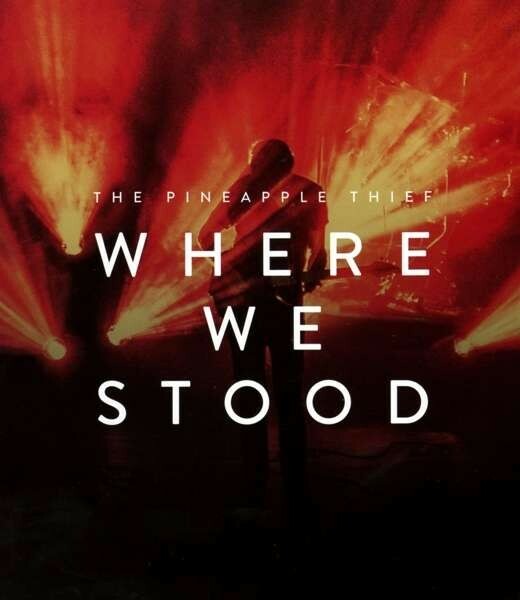 With many of the versions presented here bettering the original studio recordings, this may well be the strongest statement from The Pineapple Thief yet.